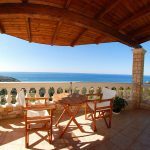 Villa Panoramic a luxurious villa in Corfu island, with a private swimming pool, parking, garden and panoramic view to the Ionian sea. 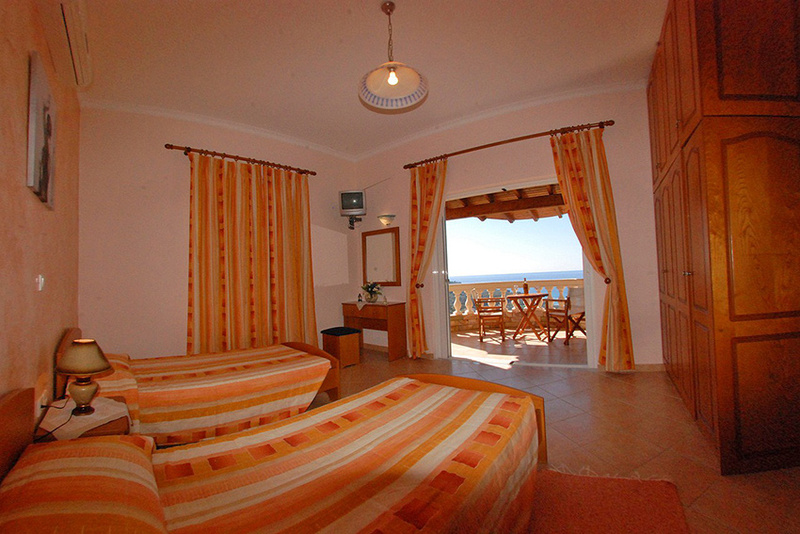 Ideal for family holiday or, generally, for people who seek to rest and relax! 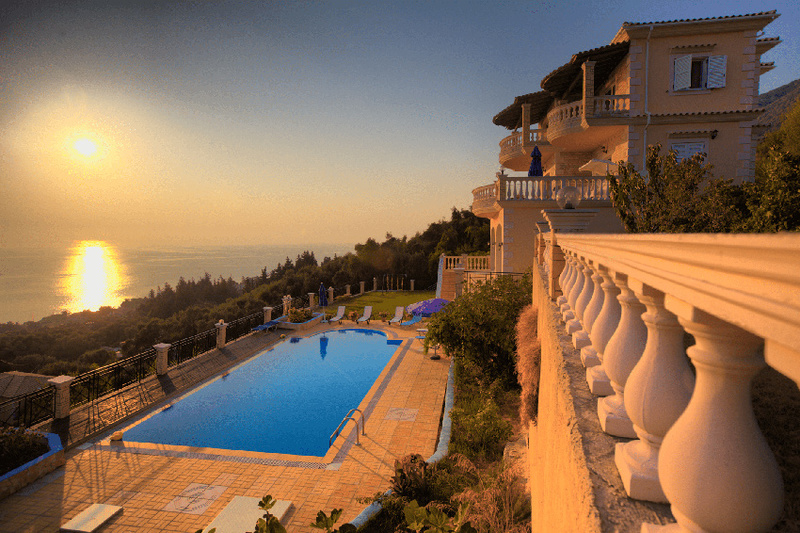 Villa Panoramic is located at the southwest side of Corfu island, 22km away from the city of Corfu and the airport, and only 700m from the magnificent sandy beach of Paramonas. At a 2km distance from the villa is the beautiful and picturesque village of Aghios Mattheos, in which you can find 2 super markets, a butcher’s, a post office, some restaurants / taverns and also some cafeterias at the village’s central road. In the Paramonas region, there is a mini-market just 100m away from the villa. 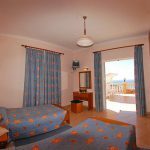 You can find four or five restaurants and tavernas on the beach where you can taste fresh fish and traditional local cuisine. Finally, apart from the Paramonas beach, various other beautiful and clean beaches lie close to the villa, such as Kanouli, Prassoudi, Skidi and Halikounas. 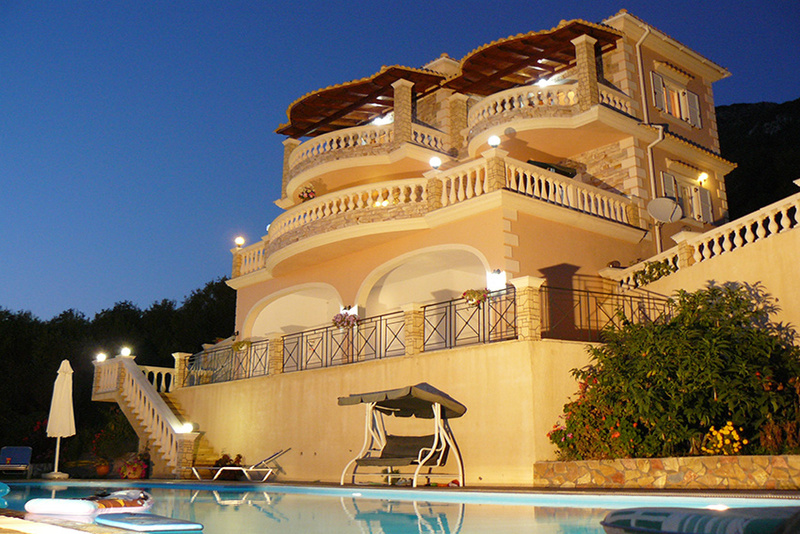 It is a luxurious villa with a 65-square-metre swimming pool as well as a private parking area. It consists of 3 bedrooms, 3 bathrooms, a comfortable living room, a fully equipped kitchen- with a microwave oven, a coffee maker, a toaster, a small grill etc.-. 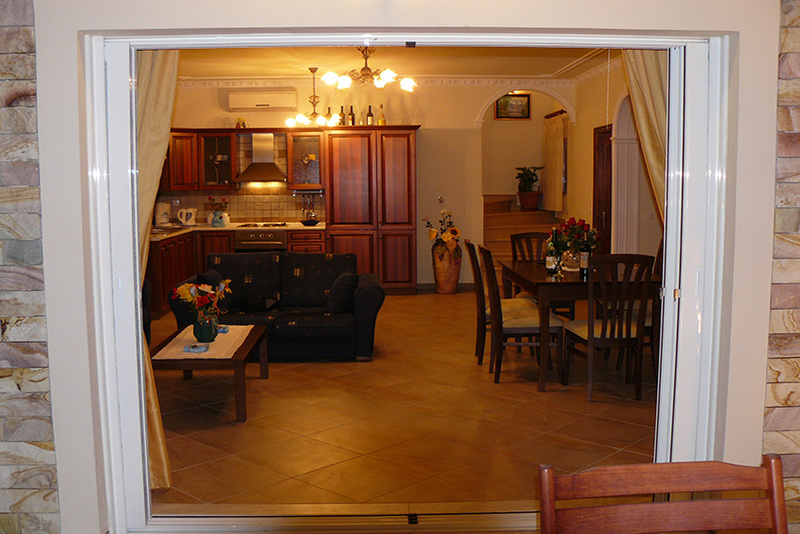 The villa has a DVD player, a telephone and fax machine and a computer which provides the possibility of Internet access on ADSL connection. You can also find a washing machine, a dishwasher and a safe. 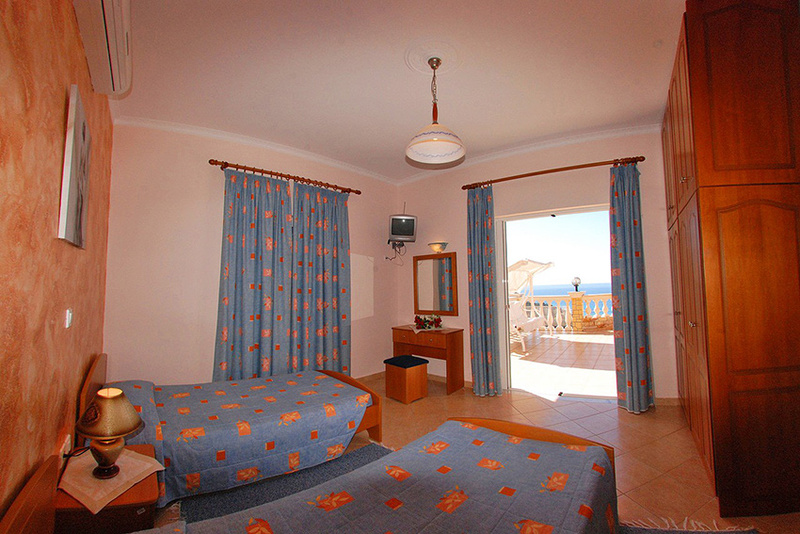 Every single room is air-conditioned and equipped with satellite TV. On the one side of the garden there is a BBQ area equipped with a table and chairs. The Panoramic villa was built at the end of 2005 in a bungalow style. 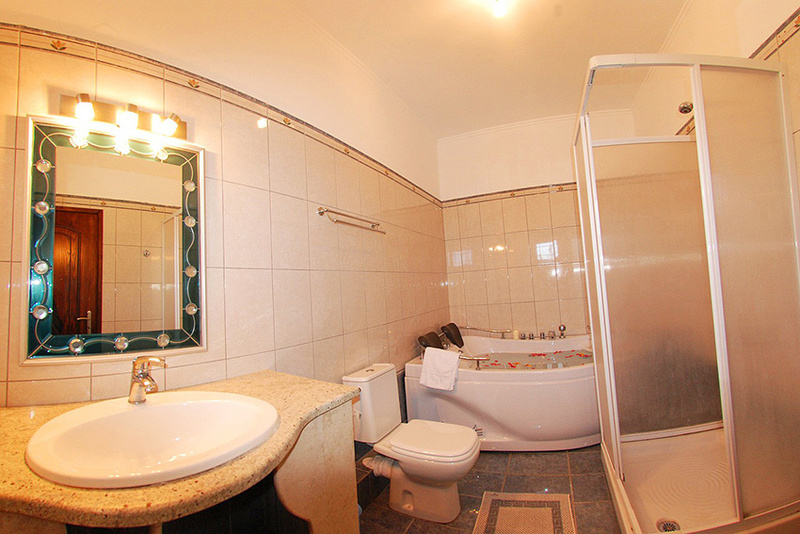 Fully equipped kitchen of 50 square metres, a comfortable air-conditioned living room including a fireplace, a dining area, satellite TV, DVD player, telephone and fax facilities as well as a computer. A W/C including a shower and a washing machine. 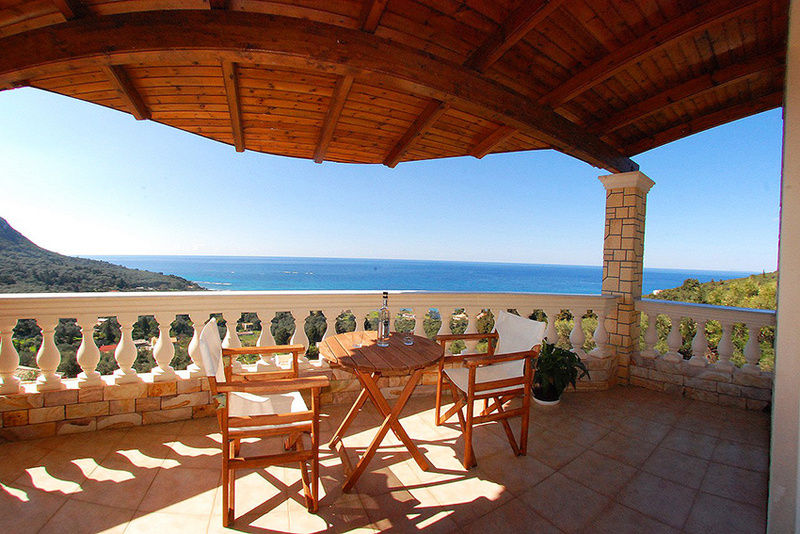 A terrace of 45 square metres with a dining area and a spectacular view to the sea. A 20-square-metre bedroom with a double bed, a wardrobe, satellite TV, air-conditioning, safe, an en-suite W/C bathroom with a Jacuzzi (for two people), an 11-square-metre terrace with a view to the sea. 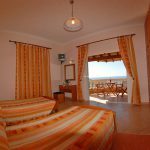 A 17-square-metre bedroom with two single beds, a wardrobe, air-conditioning, an en-suite W/C bathroom with a shower and a terrace with a view to the sea. 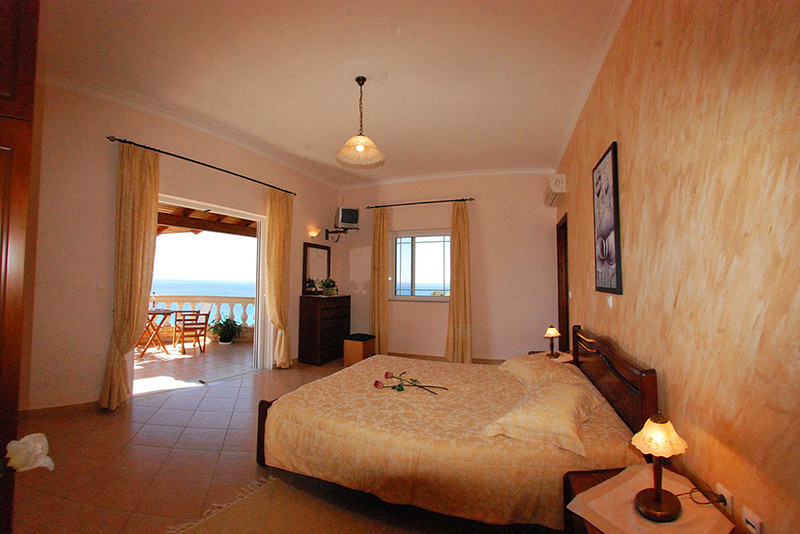 The Panoramic villa is surrounded by a wonderful garden full of olive trees and a variety of colourful flowers. 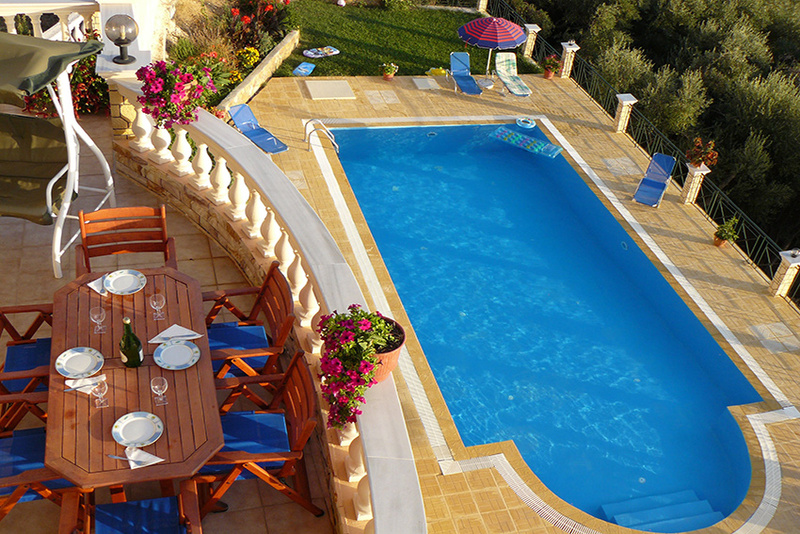 Outside the villa and very close to the exit lies a fully equipped BBQ area. There is also an area specially designed for small children on the one side of the garden. Around the private pool of 65 square metres there are sunbeds viewing the sea, as well as umbrellas to protect you from the sun. 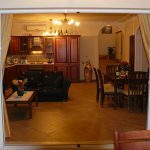 In the villa patio, just 20 metres away from the villa main entrance there is a private parking area which could accommodate up to four cars.